A recent Saturday reflected just how hectic life gets for Kaylee Ballard. Dugger Union High School in Dugger (Ind.) had a basketball game nearly 90 minutes away one morning and Ballard got on the road at 8:45 for an 11 a.m. tip. She started and helped her team in a blowout victory. 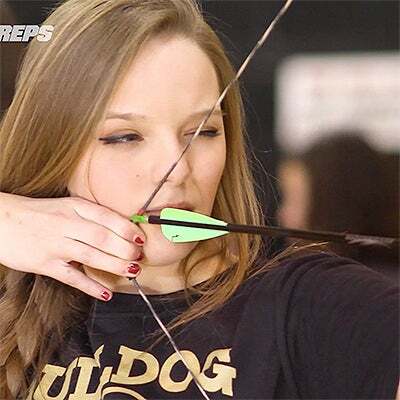 Following the game, Ballard raced back to Dugger to compete in a state qualifier for archery at 4 p.m. Ballard got there in just enough time to settle in and place second in the event. "She's pretty amazing like that," said her mom, Jodell Camden. Along with competing on the girls basketball and archery teams during the winter season, Ballard often sang the national anthem with her twin sister, Kinley, prior to a boys basketball game and performed with the dance team at halftime. During the fall, Ballard, the junior started on the Dugger Union volleyball team. Coming up in the spring, she will be a key cog on the softball team and also compete on a travel volleyball squad. "I've told her, ‘Kaylee, you can probably excel at one or two sports better if you just focus on a couple sports instead of playing every single thing,' " Camden said. "But she just likes everything." Constantly being on the go is just a way of life for Ballard. "That's all I've ever known," she said. "It's definitely a lot to do, but I wouldn't change it. I can't pick one sport over another." "It's not easy, but she just continues to go and go and go," said Ballard's mom. "Sometimes I worry about her being so busy all the time." 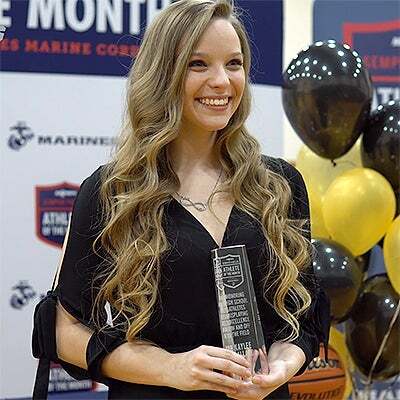 Because of her dedication to athletics and a kind heart for volunteering, Ballard was named Semper Fidelis Athlete of the Month, presented by the Marines. She'll have the opportunity to attend the Battles Won Academy in Washington, D.C. this summer. Having such an aggressive schedule during the winter really tested Ballard. But her time management skills are impeccable. "After school I would have basketball practice for two hours, then I would go straight into the other gym and have dance for two hours," Ballard said. 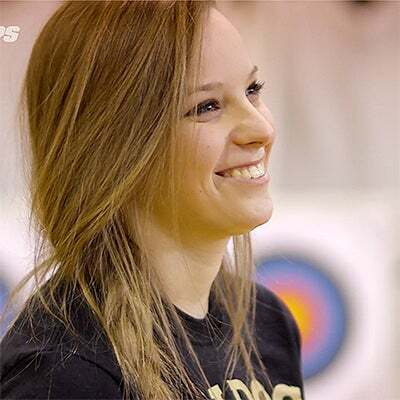 "Then I would go home and eat and then I come right back for archery for an hour and we would help them put the stuff away, so we really wouldn't get home until around 9. Then I usually did my homework, but I would usually get that done during school hours because I knew I wouldn't have time at night." Union girls basketball coach Chrystal Salesman said Ballard has the will and drive to succeed at everything she does. The coach is amazed by the stamina of the 17-year-old. "She manages her time really well," Salesman said. "She never came to me and said, ‘Oh, coach, I have to go do this and I can't be here today.' Whenever we had practice, she was there all the time, every time, and never left early for anything else. I don't think I could even manage it that well." "I don't know how she keeps it all together, honestly. She's always busying doing something. I don't see her much off the court." During this past volleyball season, Ballard earned the nod of being a team captain. As a third-year starting setter, the offense revolved around her and she kept the team running smoothly. She was an all-county recipient for having a great season. When basketball rolled around, Ballard earned a starting nod for the first time. She was the first player off the bench as a freshman and sophomore, but Salesman saw a different player this season. "She's got the leadership skills on the court," Salesman said. "She definitely knows the game." The 5-foot-4½ shooting guard was relied on for her solid defense and pinpoint 3-point shooting — shooting 52 percent for the season. She averaged 5.5 points per game. "I felt like I did pretty good," Ballard said. "There were a few games I could have scored a lot better, I had a few off games, but I made up for it with defense." When Salesman was figuring out team awards following the season, she made a new distinction, the Chameleon Award. Of course, she presented it to Ballard because adapts to whatever situation and plays wherever her coach needs her. "One reason she can adapt so well is because she does everything and she's actually pretty good at everything she does," said Salesman, who is currently coaching Ballard in travel volleyball. "It just kind of comes natural to her, really." With the spring season rolls around, Ballard will grab her cleats and get on the diamond. She's entering her third year starting on the softball team. Ballard will play anywhere on the field but primarily is plugged into catcher, shortstop and center field. For how determined Ballard is competing in sports, she's even more fierce in the classroom. With a 3.98 grade point average, Ballard has never scored anything less than an A. Maintaining her streak of straight A's pushes her every day. "It's very, very, very important to me, that's my top priority," Ballard said. “I've been wanting to be a straight-A student all throughout my high school career since I was in kindergarten. I've been waiting to be the valedictorian since my kindergarten year, that is my goal." Currently, Ballard sits at No. 2 in her class of 42 students. It bugs her that she's not at the top. "She likes the competitiveness of everything," Camden said. "I think she just strives to be the best." Ballard, who is involved with Beta Club and Fellowship of Christian Athletes (FCA) is her class president for the third consecutive year and a leader in the school. She's already looking ahead to her future where she wants to earn a degree at Indiana State University and then head to Indiana University for medical school to become a surgeon. Volunteering is also an important aspect in Ballard's life. "I will admit, I'm a mom who pushes my kids to volunteer," Camden said. "There's been a lot of things I've seen and I've been like, ‘Hey, let's do this.' And she's always like, ‘Yeah, let's do it.'" During the holiday season, Ballard is able to get out and help with bell ringing for the Salvation Army and shopping for Christmas gifts for young kids who come from low-income families. A number of the volunteer activities are through Ballard's church, which she has been an active member in youth groups and summer camps. "It gives me the opportunity to see how much I have and to be grateful for everything that I have, my family and everything they have provided for me," Ballard said. "There are a lot of things I have that a lot of others don't. It gives me a greater chance to be grateful." Camden knows her daughter has plenty of traits that make her a special person. Her top trait? Self-motivation. "She just strives to be the best and it's not because anyone makes her be that way, she just wants to be that way," Camden said. She doesn't settle."